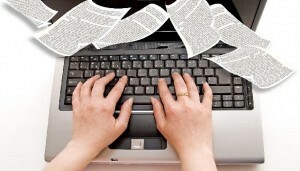 Jerome has authored dozens of articles about fraud of all kinds. Industries vary, but fraud is fraud – no matter how you slice it. These articles about fraud are both educational and funny. They have been published by organizations such as the Business Journal, California CPA Magazine, Mortgage Press, Niche Report and the Scotsman Guide as well as other corporate fraud web sites and blogs that deal with fraud, criminals, conspiracy and prison. The conman, or confidence man, has been around for a long time. In this article Jerome Mayne explains his involvement with a con-man who was operating in the mortgage industry. He describes how con-men exist and operate in the United States and corporate America in general. Much of the white collar crime that takes place, is perpetrated by individuals who were recruited by con men. When I arrived in prison it was a whole new world for me. I wrote letters to my girl friend every day, bit the first one — well, read this. It is almost an exact copy of the letter I wrote to her of that memorable; first day in prison. 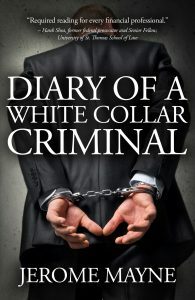 My book, “Diary of a White Collar Criminal“ contains many of the letters I wrote to her. In fact, almost the entire book comes from the personal and intimate letters I wrote to my girlfriend while I was in federal prison for conspiracy to commit mail fraud, wire fraud and money laundering. My mother did not commit mortgage fraud. I did. My friends, brothers and kids were not involved in a white collar conspiracy. I was. The truth: they had to go through the same humiliation, fear and anguish that I went through. Some mortgage loan officers were oblivious to the blatant fraudulent methods they were using to get home buyers approved. At one time, it was all about getting the loan in the door and making that commission – at any cost. They had no idea what price they would pay for their freedom years down the line. Will Your Son Wind Up In Prison? Tongue in cheek observations of qualities of inmates I spent time with. If your son displays these qualities, he might wind up in prison. Referring to ethics as a general academic specialty, Jerome does not use powerpoint slides, check lists or tests. Rather he tells a story. Much of his story and experiences in FBI investigations, federal court and prison have contributed to the insights from which these articles are written. 5 Simple Steps to Avoid Prison? "They are designers of illusion and masters of influence. They will construct façades; personas of sincerity and honesty, and for most of us it will not be transparent. They do not care about you or your families; both are disposable to them. They are patient and they are survivors, and they will not stop!"